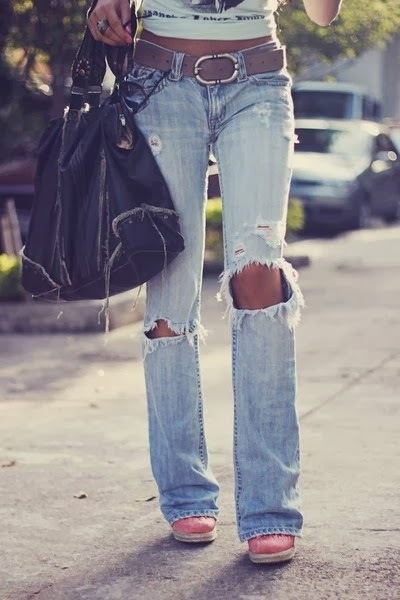 Oh man, I was looking at my fashion board on Pinterest and quickly noticed a theme...Apparently I would like to own a pair of well worn holy jeans! Where do I find such gems? Or... do I make them myself? Any advice? I like that they are flared at the bottom too. I would love these for spring/summer. Wear some cute v-neck shirts or casual shirts with it and maybe throw on a baseball hat. I'm just loving this look right now! 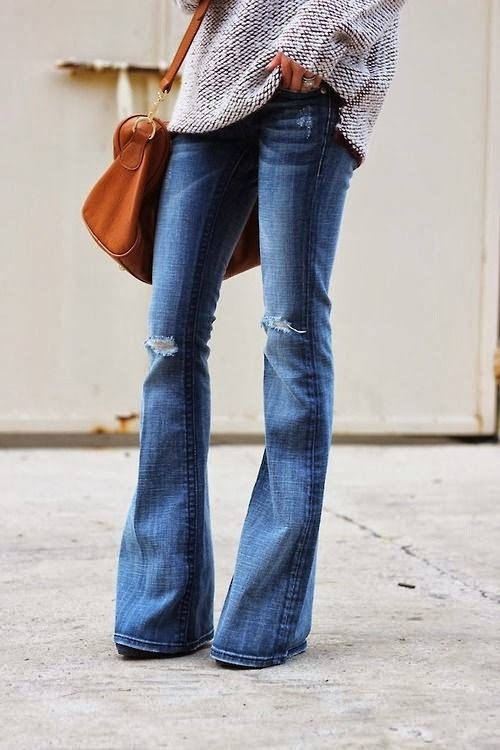 I'm on a mission to find a pair of these lovelies. Help much appreciated.